These pumps are the heart of Domestic Pump condensate-handling equipment. 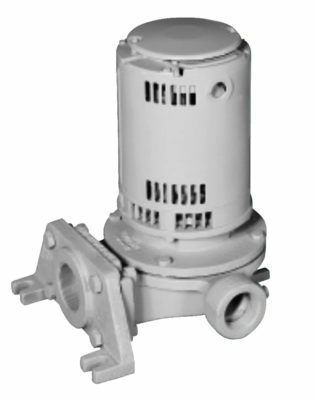 Centriflo centrifugal pumps are basic components of much of our line of condensate-handling equipment. Designed for the rigorous demands of this service, Centriflo® pumps require a lower NPSH than conventional pumps. Vertical mounting of the pump saves floor space and gets the motor up above dirt and water. The style PF flange-mounted pumps can be simply bolted to vertical flat surfaces, such as our condensate receivers, eliminating suction piping completely. PVF vertical foot mounted are provided with footed NPT connect suction flanges and NPT discharge connections for ease of use in other applications.